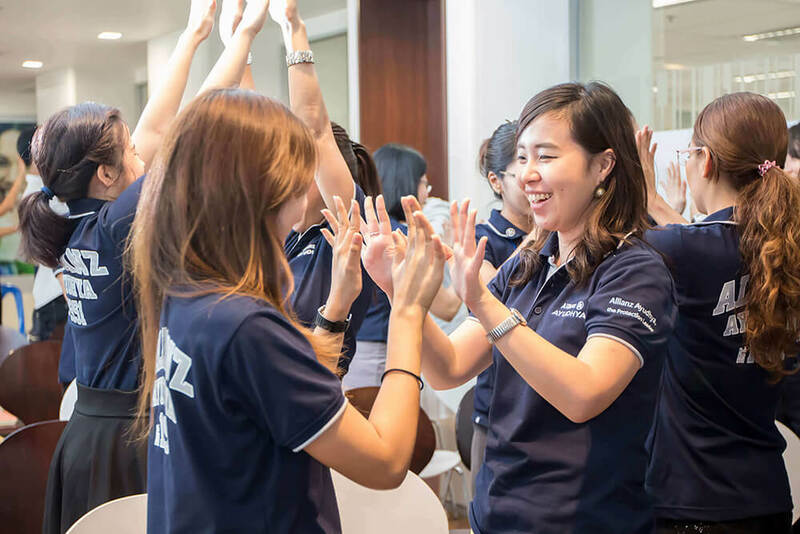 Main Page › Doing Good Together › Allianz Ayudhya celebrated its long and strong establishment in Thailand for 65 years. 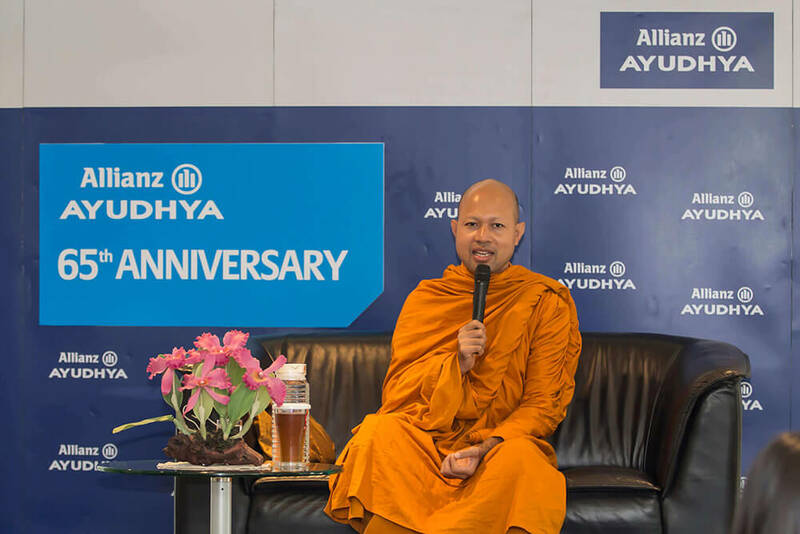 Allianz Ayudhya celebrated its long and strong establishment in Thailand for 65 years by engaging over 700 people from all stakeholders to do good deeds together during last week of April. 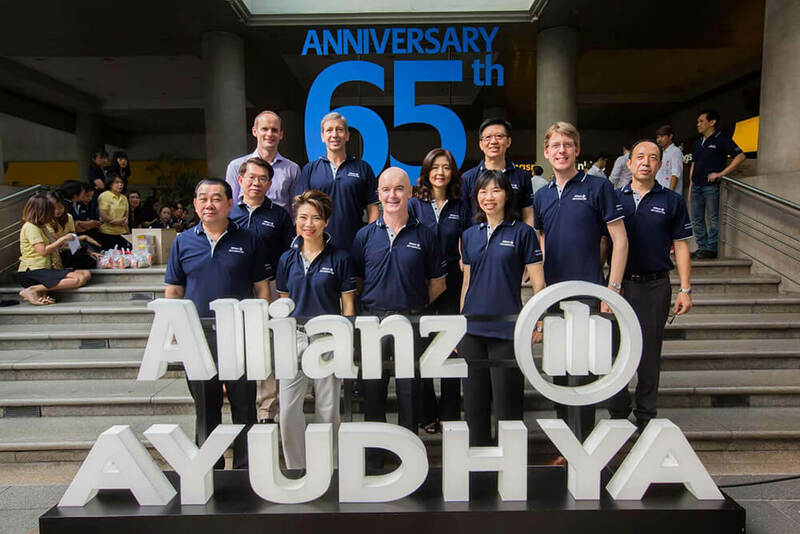 It’s 65th Anniversary of Allianz Ayudhya. 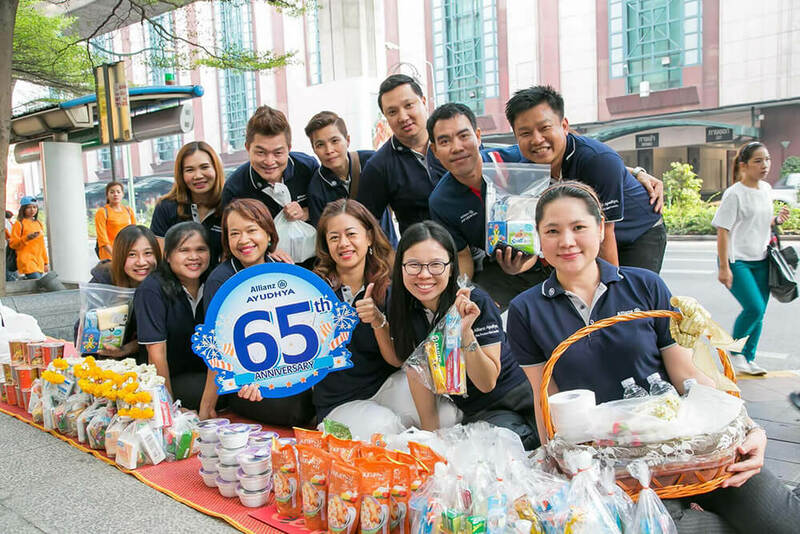 We celebrated our strong establishment in Thailand for 65 years during 4th week of April at the Head Office. 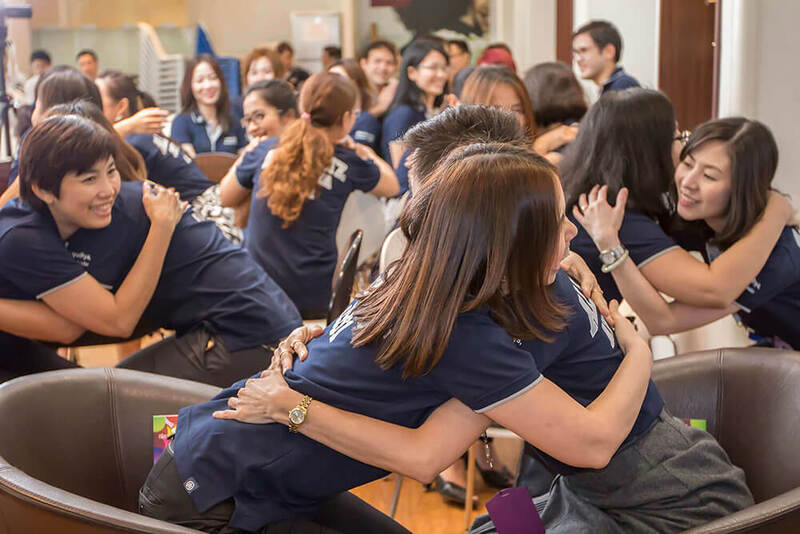 It’s Thai culture that we do good deeds to people and society on our special day. Therefore, we engaged all key stakeholders staff, agents, customers and people who works nearby to join the auspicious event to make merits, listen to sermons, give away food to underprivileged children and donate unused corporate shirts. 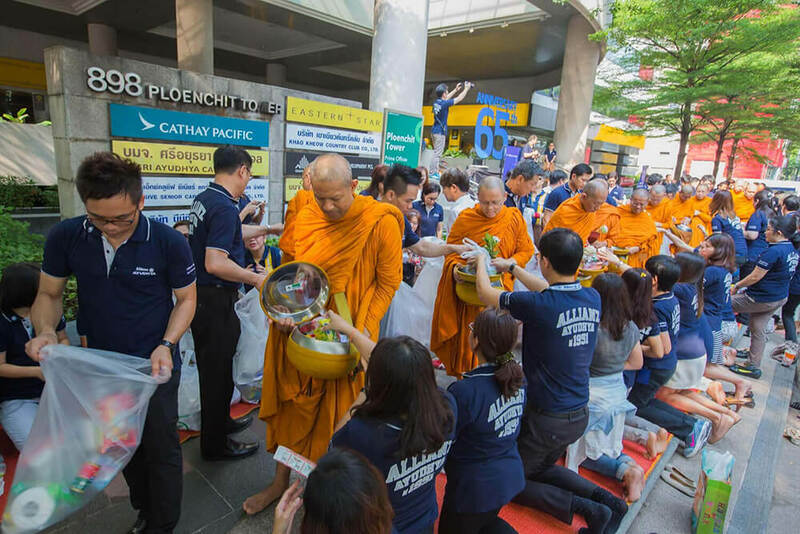 On April 27, in early morning, our CEO Mr. Bryan Smith with all executive management and our guests from regional office, staff, agents, customers and people around the areas, approximately 230 people made merits to 19 monks from Pathum Wanaram temple. 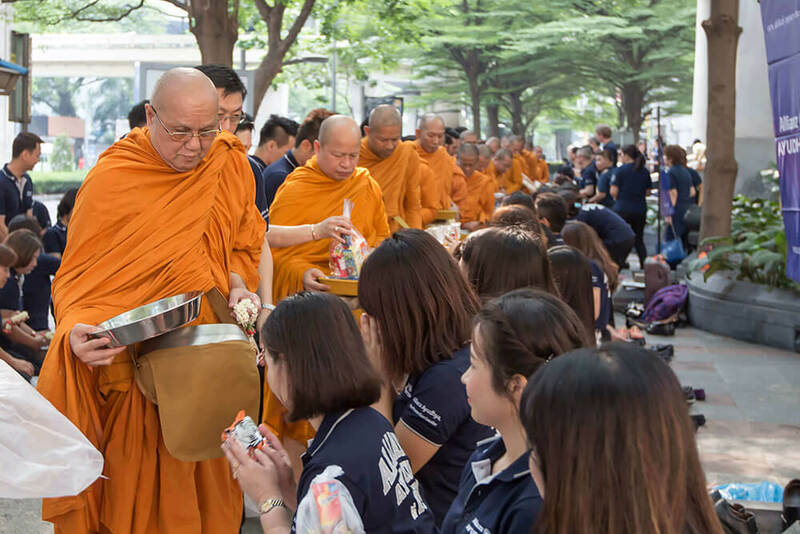 The merit means offering dried food and necessary things to all the invited monks who can consume or use such given things or donate to other monks in the upcountry outside Bangkok. Making merit is one of the most common rituals of Buddhism. We believe that giving is a good karma, the more we give, the more it will return. To continue doing good things for the whole day of the special day, we offered all staff to listen to the sermon. This is the belief that receiving, digesting good information does help cleaning mind and allow one to be focused on what we should do/act in the daily life. The sermon was given by Pra Supol Kantiwaro from Panya Nantaram Temple who is a well-known Dhamma guru with unique style of giving sermons with easy and fun ways, suggesting how to work with happiness. Lots of laughs and smiles shown from 70 staff who joined the sermons throughout an hour session. 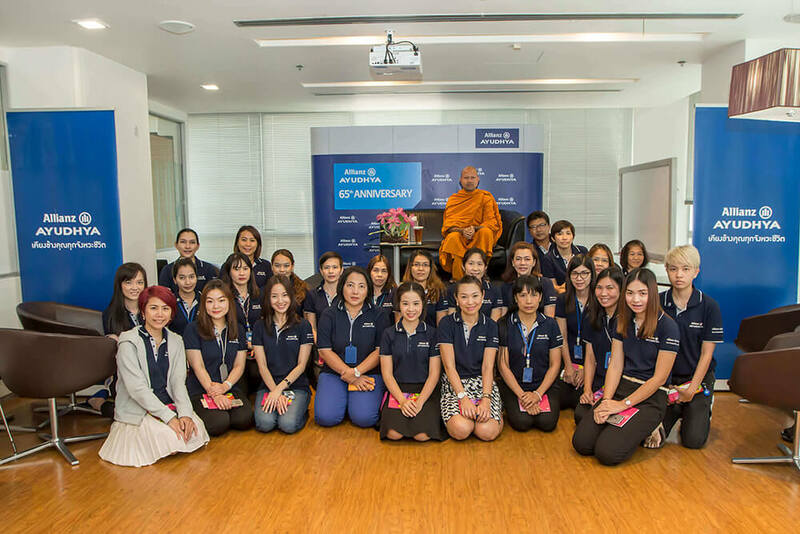 Before closing, the monk had given good tips for the participants for daily working life such as “Be considerate to everyone we work with, not only our supervisors, but also, our co-workers and subordinates. Beyond the activities at the office, we also think of the children and officers, who are at The Pakkred Reception Home for Boys, sheltering victims of human trafficking and abused where we normally organized children’s day activity for them once a year. With this special occasion, we ordered 50 pizzas and soft drinks to 80 underprivileged kids and officers. 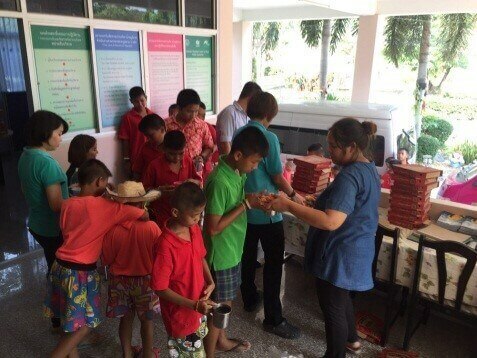 If we imagine how joyful normal kids are when having fast food once in a while, for these kids who are not privileged enough to have parents buying for them, offering pizzas to the kids undoubtedly delighted their days and fulfilled what they’ve longed for. As the day of giving, we have collected more than 1,000 unused Polo-shirts that are ready to be donated to the needy. 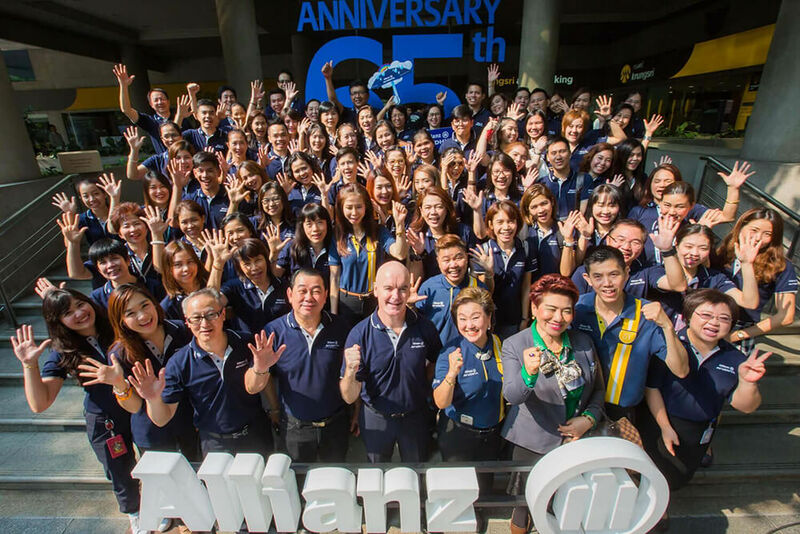 It’s 65th Anniversary of Allianz Ayudhya that filled with good heart of giving and receiving good thoughts. We do continue to delight our customers, be the society best partner and continue to contribute to the society.